The two Hindu girls have approached a court in Bahawalpur in Punjab province seeking protection, reported Geo TV. 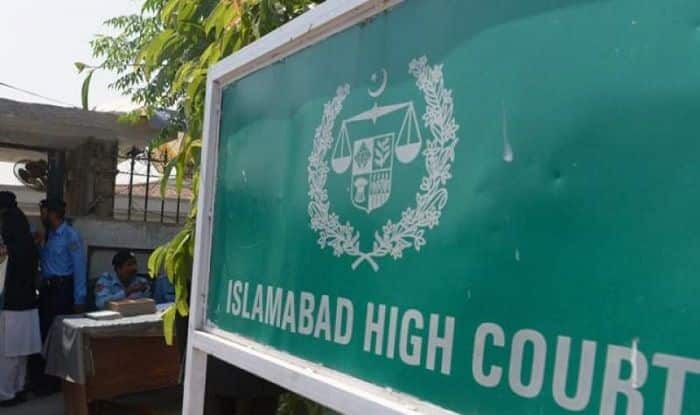 New Delhi: Two Hindu girls who were allegedly kidnapped, forcibly converted and married to Muslim men will receive governmental protection, stated an order by the Islamabad High Court (IHC) on Tuesday. Identified as Raveena and Reena from Ghtoki district of Sindh, the two girls had reportedly sought protection from the Islamabad High Court after their forceful conversion to Islam. Upon hearing the plea submitted by the girls, the Chief Justice of IHC asked the Islamabad Deputy Commission and Director General Human Rights to take them into custody till the matter is resolved in the court. On March 20, the girls’ family lodged an FIR against their alleged forced conversion to Islam. Soon after the kidnapping, a video went viral in which a cleric was purportedly shown solemnising the Nikah (marriage) of the two girls, triggering nationwide outrage. Pakistan Prime Minister Imran Khan has ordered a probe into the incident after the two separate videos started doing rounds on social media. According to Geo TV, the girls have approached a court in Bahawalpur in Punjab province seeking protection. The Hindu community in Pakistan has carried out massive demonstrations calling for strict action to be taken against those responsible while reminding Prime Minister Imran Khan of his promises to the minorities of the country. Last year, Khan during his election campaign had said his party’s agenda was to uplift the various religious groups across Pakistan and said they would take effective measures to prevent forced marriages of Hindu girls. Pakistan Hindu Council chief and Member of National Assembly from the ruling Pakistan Tehreek-e-Insaf (PTI) Ramesh Kumar Vankwani condemned the incident and demanded that the bill against forced conversion, which was unanimously passed by Sindh Assembly in 2016 and then reverted due to pressure of extremist elements, must be resurrected and passed in the assembly on priority basis.